With the popularity of converged networks like Multi Protocol Label Switching, many businesses are sending the majority of their voice and data traffic over one network. If your business is utilizing one network for voice and data, it’s essential to develop a separate and redundant network for backup. In the past, companies had two independent networks, one for voice and another for data. If their data network went down, their voice network was usually unaffected and vice versa. Now, companies transmit all their voice and data over one network and the importance of up time has increased exponentially, so has the need for redundancy. Redundant, supporting networks should be diverse (different delivery of service, different provider), automatic and economical. Diverse – It would be a bad idea to support a T1 based network with another T1 based network because the incumbent provider would most likely be delivering both local loops. Automatic – Routing equipment can be configured to automatically move voice and data traffic to the secondary network should the primary network fail. Economical – It doesn’t make sense to spend as much money on a secondary network as your primary network, because your goal is to utilize your secondary network as minimally as possible. DSL and Cable based internet access are popular connections to use for a backup network. Both technologies are inexpensive and offer high bandwidths, so reduction of performance can be minimized. However, DSL should be avoided if your primary services are supplied by the phone company or companies that utilize the phone company’s network to deliver services. This is true because the phone company delivers DSL, so if there is an issue with their network, it could affect both your primary and secondary services. Wireless is becoming a better option now that wireless networks have become more comprehensive and 4G speeds are available. Typically, a secondary or redundant connection utilizes VPN (Virtual Private Network) technology to connect the various circuits making up a Wide Area Network (WAN). VPN utilizes encryption to secure the transmitted data. Encryption requires overhead so the throughput of a VPN network is not 100% of the bandwidth of the circuits it rides over. Speeds on a VPN network will be slower than what you would experience on your primary network. Service Level Agreements (SLAs) for DSL, Cable and Wireless don’t exist or are inferior to T1 or Fiber based services. Most carriers guarantee repair tech visits within four hours for T1 and Fiber. DSL, Cable and Wireless typically provide repair services “by next day”. 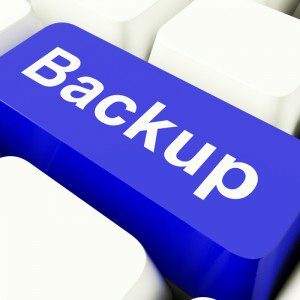 If your company is going to go to the expense of designing and implementing a Multi Protocol Label Switching or other converged network, go the extra step to create a backup or failover network. With the availability of inexpensive internet connections, VPN technology and modern routing equipment backup networks are inexpensive to establish and easy to maintain. If you would like to receive more information about redundant networking for Multi Protocol Label Switching (MPLS), VPN, converged networks, or any other CarrierBid service, please call immediately or complete the form on the bottom of this page.